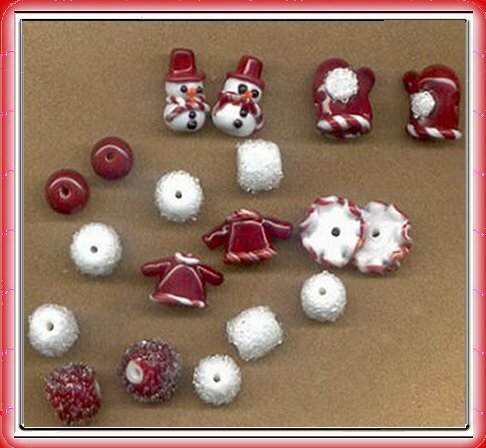 Up for auction are these 11 lampwork beads made in the shapes of snowmen, mittens, sweaters, and snowballs. They were made using Moretti, Vetrofond, and Lauscha glass. 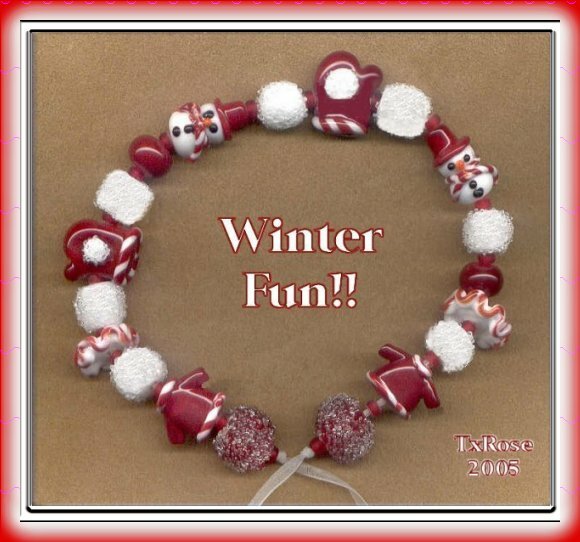 The beads are approx. 10mm X 19mm in size, and wound on 1/16 mandrels. All beads are properly kiln annealed, and cleaned here in my home studio. Please ask all questions. I don't mind. I like for people to be comfortable with their purchase. If for some reason you are unhappy with your purchase, please contact me within 7 days, where I will gladly refund your purchase, less any shipping costs. Be sure to watch for future auctions!